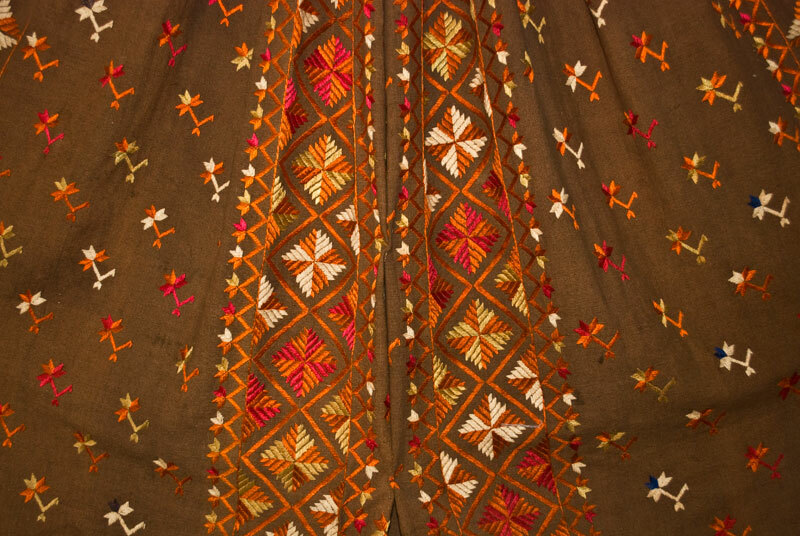 Phulkari, a rural tradition of handmade embroidery, literally meaning “flower work” is an auspicious, head cover embroidered by the versatile fingers of Punjabi women. 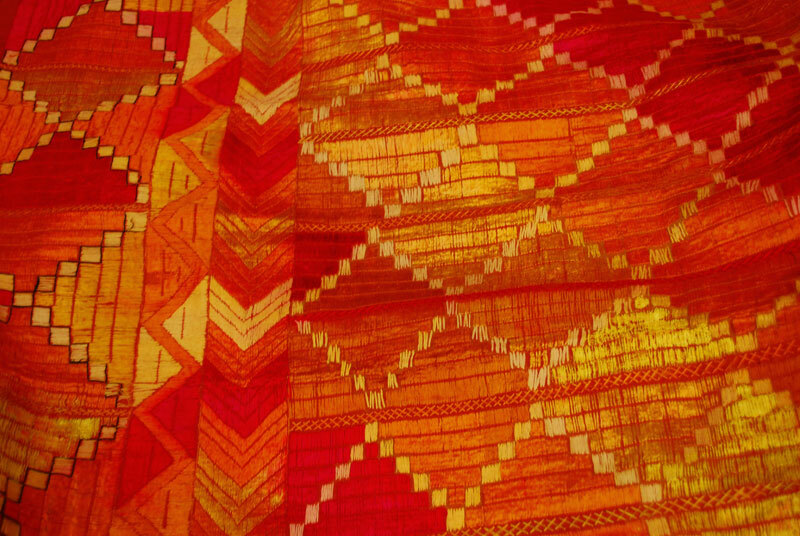 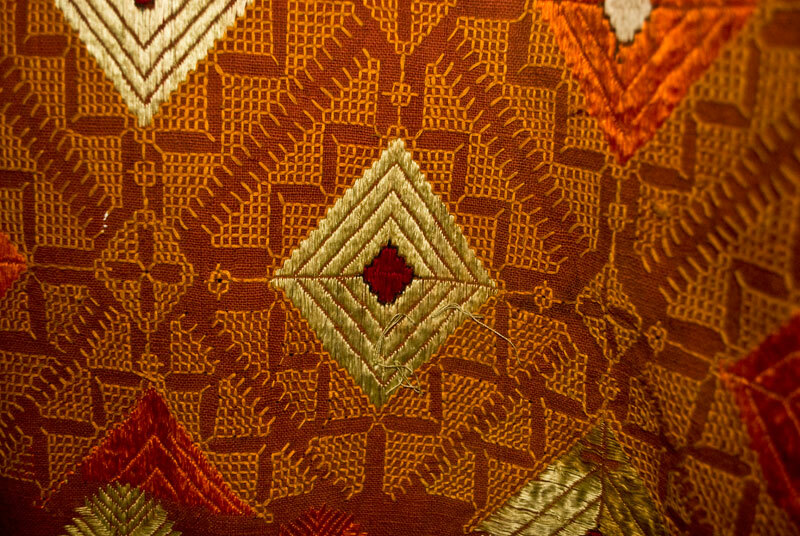 Embroidering on a Phulkari reveals a lot of ground cloth. 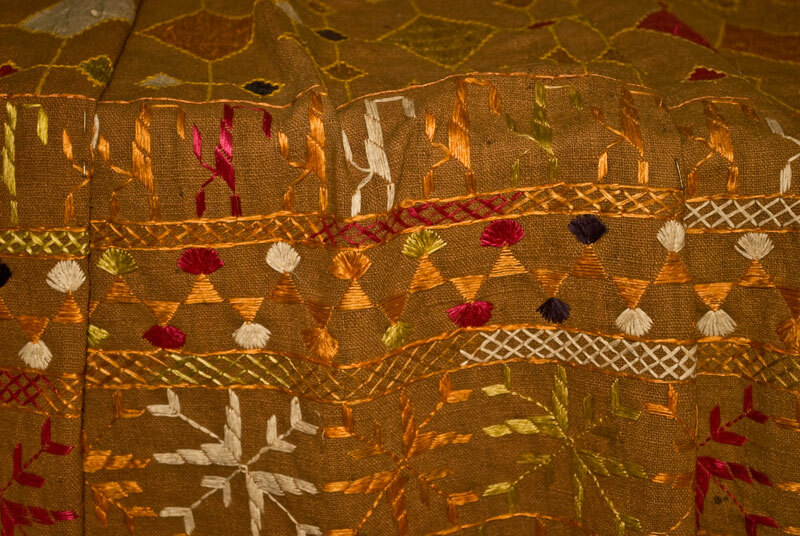 A variety of characters, forms and designs are scattered and embroidered on a Phulkari. 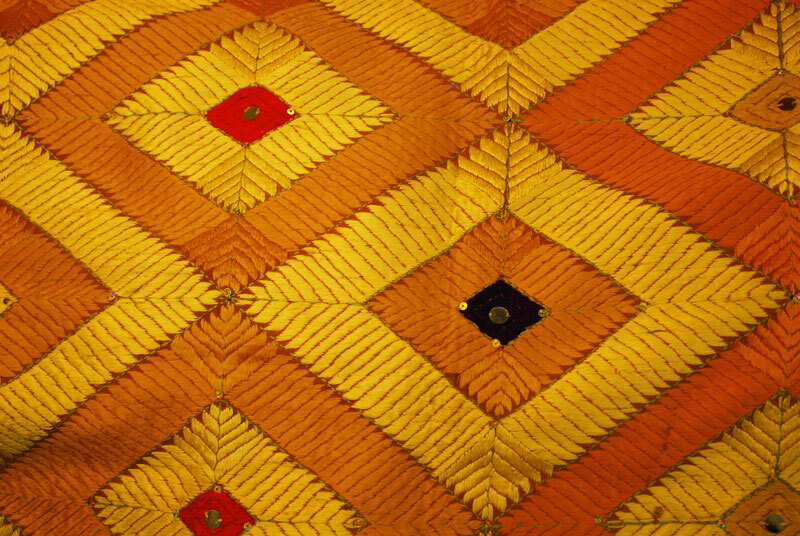 With time Phulkari became increasingly elaborate and decorative which led to the evolution of a special ceremonial, Bagh Phulkari. 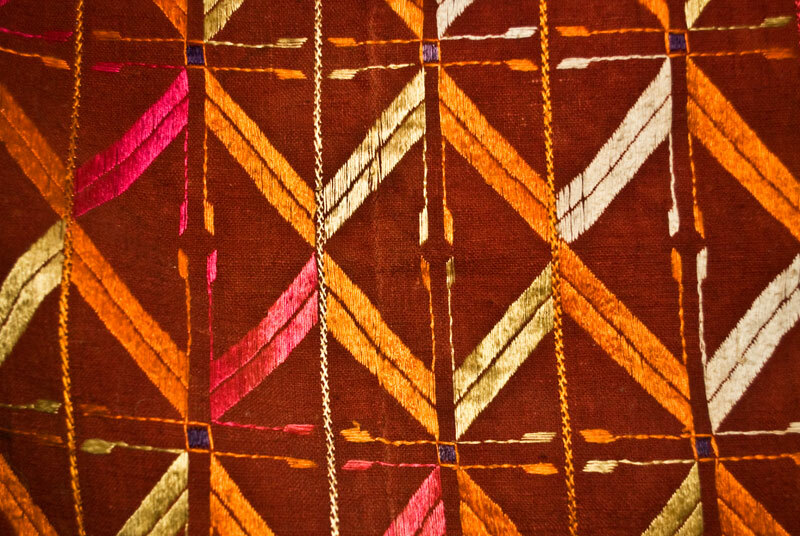 Bagh literally means “garden of flowers”, and the term distinguishes the flowered Phulkari is that the embroidery is so profuse that the ground colour is no longer visible thus the embroidery becomes the fabric itself. 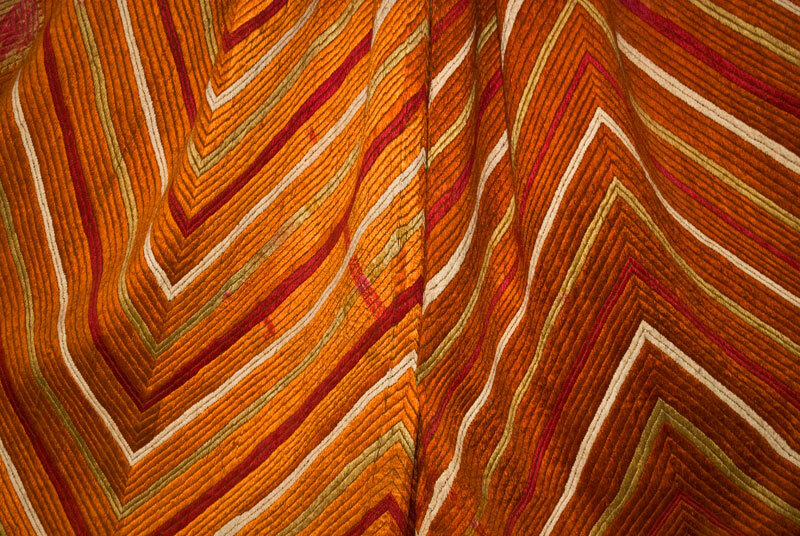 Unlike Phulkari, Bagh demands more time and patience and more material, thereby increasing the expense. 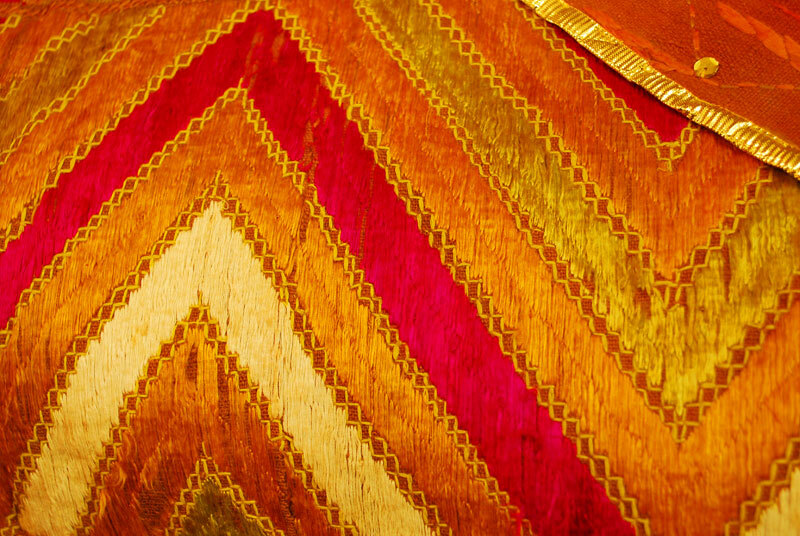 Thus bagh set out to be a status symbol. 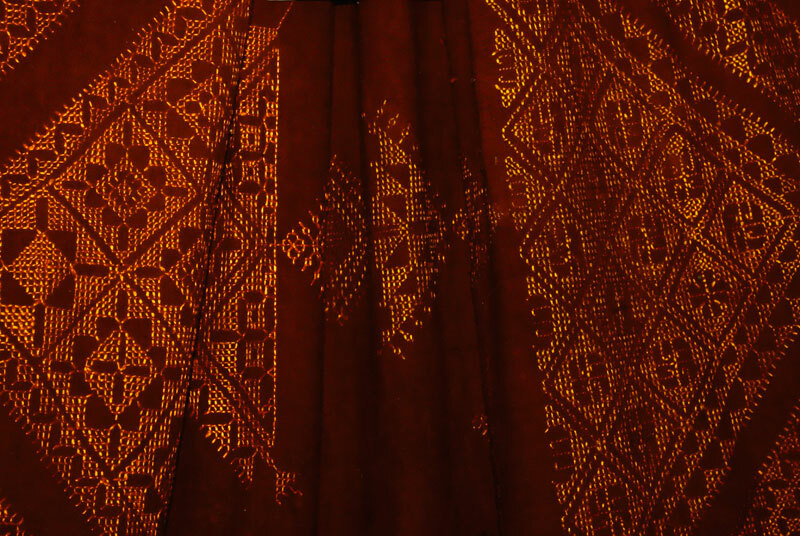 Chope is usually embroidered on the borders. 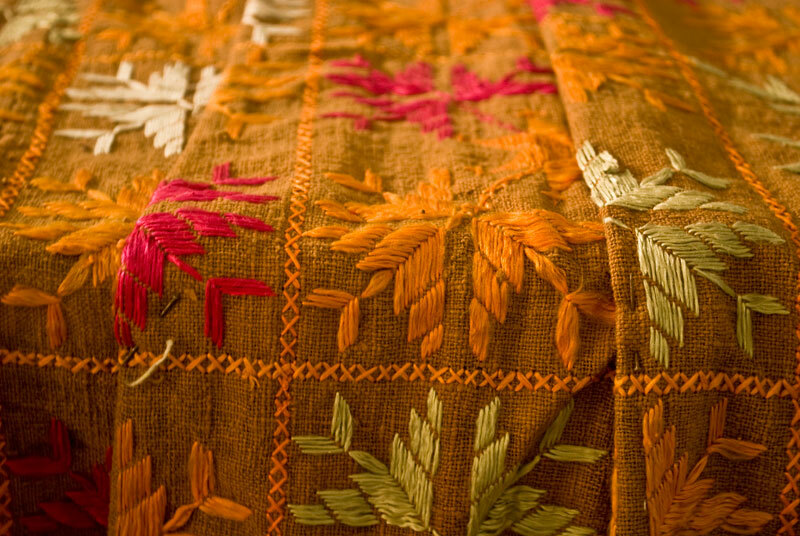 It is gifted to the bride by her grandmother during some ceremony before wedding. 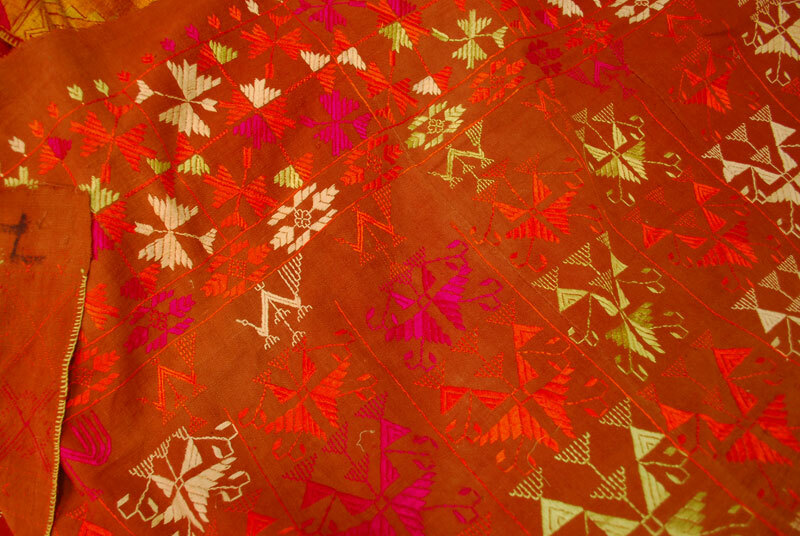 The “Chope” is embroidered straight with two sided line stitch which appears same on both the side. 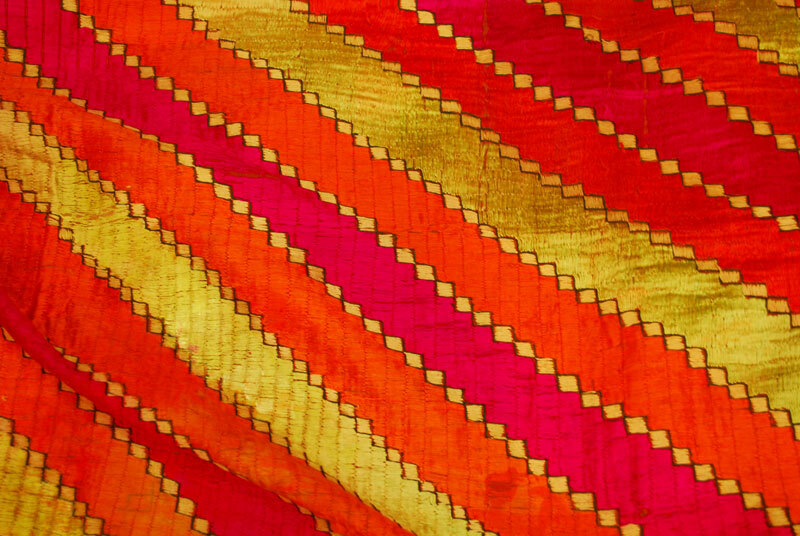 Unlike Phulkari and Bagh where a variety of colours are used, Chope is generally embroidered with one colour (Golden or yellowish golden mostly).